It seems like all these so-called modern advances in chemistry have only contributed to the downfall of the planet. Chemistry produced first Agent Orange and then used it as an herbicide to spray on crops. They produced plastics that are now choking the oceans. We should go back to the idyllic days before the advent of modern chemical engineering. C’mon, Mr. Lawrence, you know the genie can’t be re-bottled. Besides, there have been so many good advances in chemical engineering. No, the villain here — again! — is unbridled corporate capitalism. 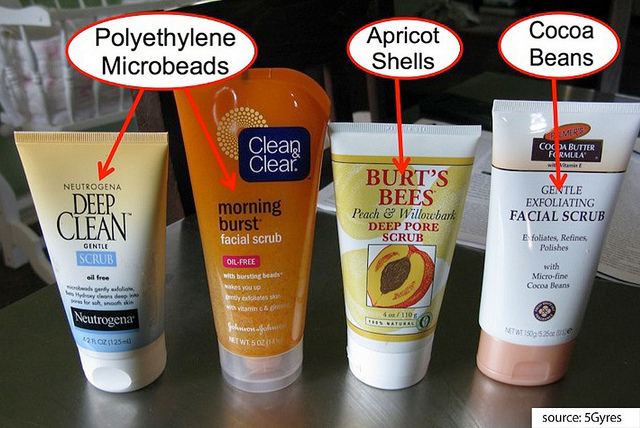 But my question is: If many of these companies are already planning to remove microbeads from their products, why do these measures wait 3 or 5 YEARS before they go into effect? ?